The 4.7-inch iPhone 6 parts have been leaking left and right for months, and now it appears it’s the 5.5-inch iPhone’s turn. The 5.5-inch iPhone 6 – also referred to as the iPhone Air – has been rumored for some time now, but leaked parts for it have been scarce, leading some to believe it may not be on its way. All of that seems to be changing rapidly with a back panel showing up in the past few days, and now a new battery. 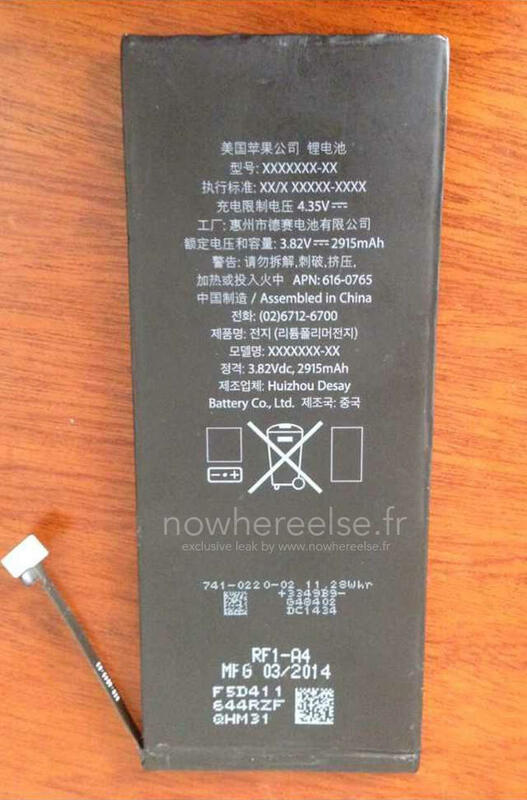 Nowhereelse.fr published two new photos today of what appear to be a 2,915 mAh battery for the iPhone Air. 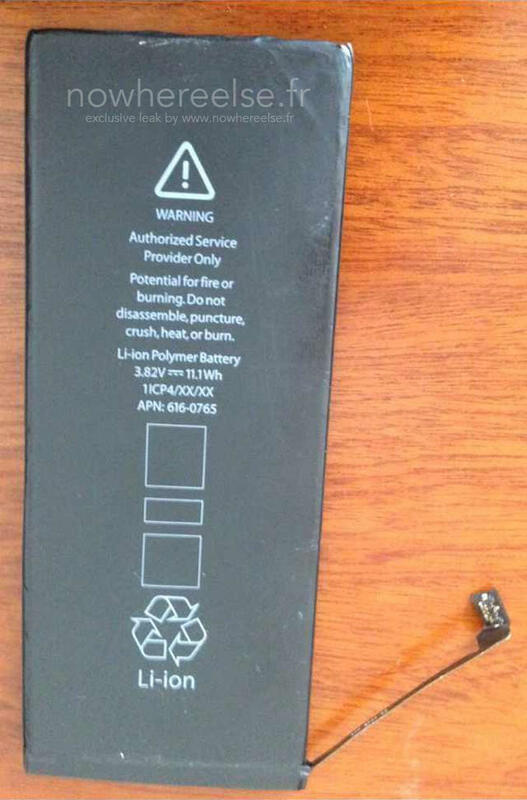 This isn’t the first time this battery has appeared, with a battery of the same size and markings appearing last month. With the increasing momentum of leaks related to the iPhone Air, it does seem likely we will see it announced next week along with the 4.7-inch iPhone 6 when Apple takes the stage for its Sept. 9 event in Cupertino. If it launches at the same time remains the bigger question mark as some rumors have pointed to a staggered release date for the two models. TechnoBuffalo will be in attendance at the Apple event, so make sure to check back in for all of your coverage.